I would be interested in reading about Hannah too. I'd love to read the Esther one to my girls. I would be interested in reading about Esther. I had some pretty serious issues with this book too. 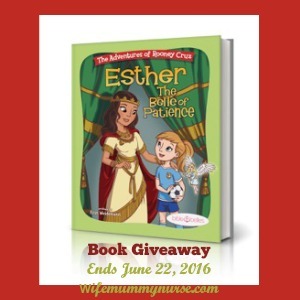 You can see my review here: http://mommynificent.com/2016/06/14/esther-the-belle-of-patience-book-review/ Thanks for sharing this at Booknificent Thursday on Mommynificent.com! We need more Christian books!! Thanks for candidly sharing about this book. I liked that you said you would hold off until your daughter was old enough to understand all that was presented in this book.